ConFOMO is now using Vue.js! - Vue.js Feed ConFOMO is now using Vue.js! Created for everyone to use and track new and old friends at conferences, open source and renewed, work of Matt Stauffer and Michael Dyrynda. 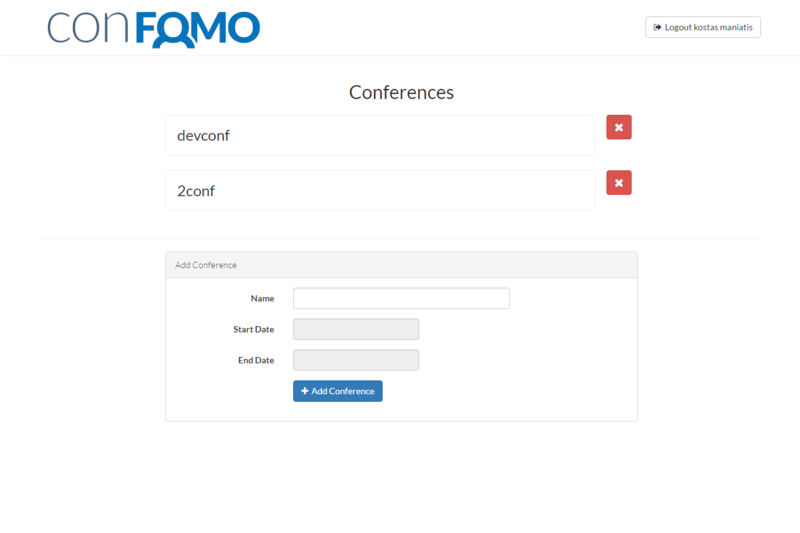 Use this site to maintain a nice and simple list of the conferences you are attending and friends that might be there too. Matt Stauffer posted on his twitter account that they rewrote ConFOMO in Vue.js. This is another project where developers can look for code references, contribute and see how Laravel and Vue.js are used together. The code is available on Github. Head to https://confomo.com/ to check it out.